The organizers of the exhibition reserve the right to replace the judges and the venue. The venue will be published in addition. 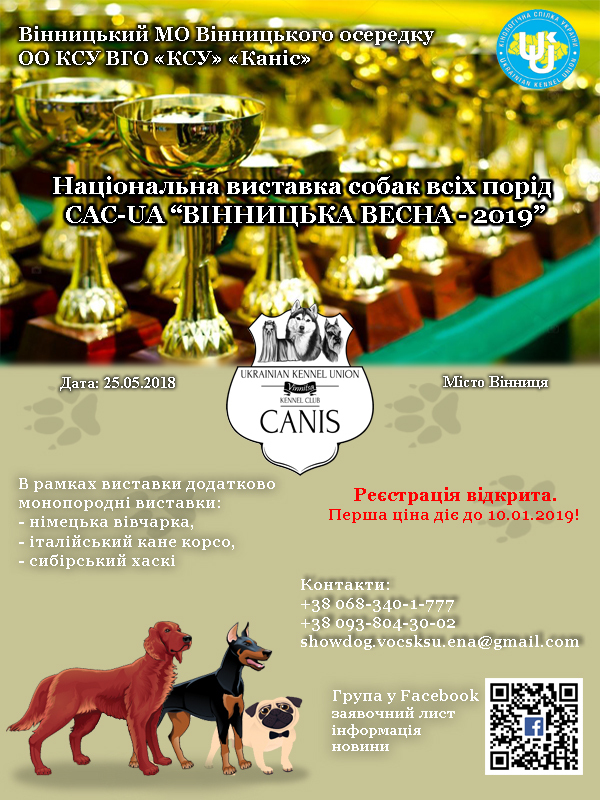 APPLICATION FOR PARTICIPATION "Cup of Vinnytsia - 2019"
Registration is open. First registration period before 01.05.2019!